Cooperative Extension at the University of New Hampshire recently announced a series of changes to the program that will not only save money but continue to provide services to New Hampshire residents in a more efficient and effective way. “This unique approach will give all 10 counties a greater choice in how to participate and sets the stage for a stronger program overall,” said John Pike, dean and director of UNH Cooperative Extension (UNHCE). The recent state cut and the resulting loss of 23 positions spurred the organization to implement a team of people from around the state to look at ways to reinvent, reconnect, and reinvigorate the work of Cooperative Extension. The new plan calls for alternate revenue generation, new funding partnerships with counties, specialization of staff, use of technology, and increased engagement with UNH faculty. UNHCE reaches one in four New Hampshire residents with information or assistance, and recruits, trains, and supports more than 5,000 volunteers who work with staff to conduct educational programs throughout the state, including Marine Docents, 4-H leaders, and Lakes Lay Monitors. Nearly all of UNHCE’s programs also directly benefit many other state residents. For example, the Lakes Lay Monitors program improves lake quality for all those using the lake as well as the tourism industry and local economies. The budget cut and subsequent reduction in staff meant that Cooperative Extension needed to focus on areas where it could have the most impact. 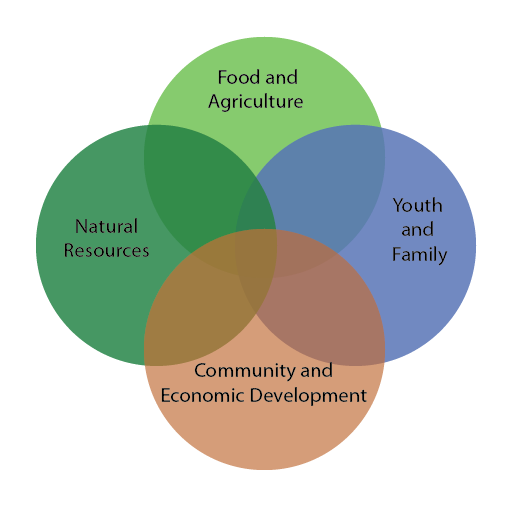 Moving forward, existing program areas will be replaced with teams focused on food and agriculture, natural resources, community and economic development, and youth and family. The teams will make final recommendations on what current programs will continue. While working primarily in the local counties, other significant changes include field specialists working regionally rather than limited to one county and counties having the option to transition support staff from county to UNH employees.